Have you heard of the “push present?” It’s a gift you give your partner to mark the occasion of your new child’s birth.  Push presents are a thoughtful way to show your partner how much you appreciate her and how happy you are to be starting the next chapter of your life together. But what do people usually gift as a push present? The most popular kind of push present is a new piece of fine jewelry. 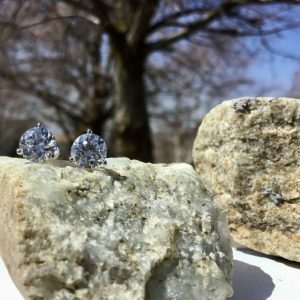 Fine jewelry is popular as a push present because it covers all the bases: it’s sentimental, beautiful, and practical. So, what kind of fine jewelry makes the best push present? We’ve put together this list of our top five favorite push present options. 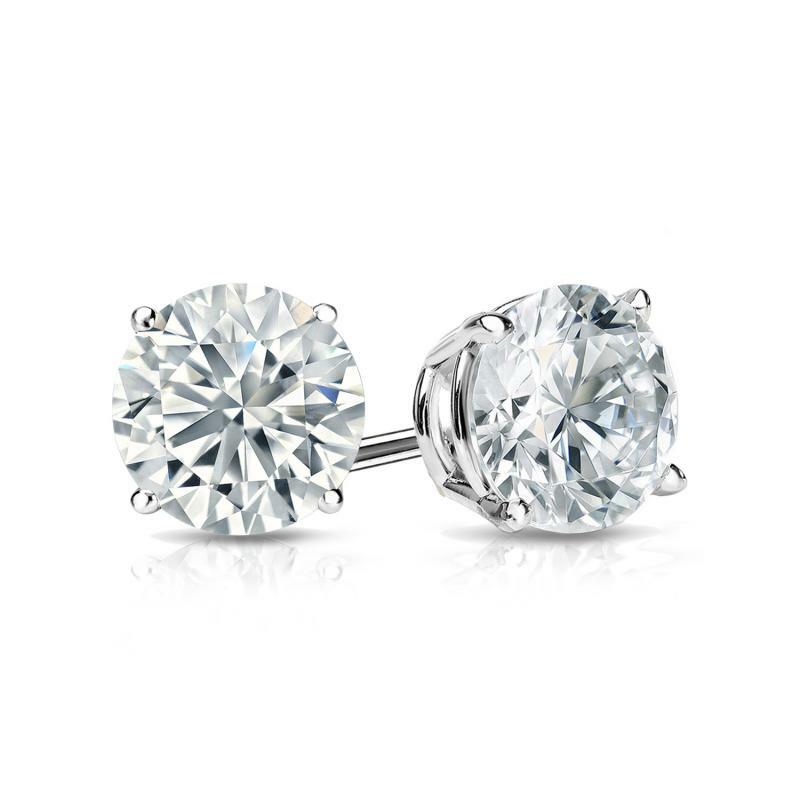 These classic diamond studs feature 1 total carat of mesmerizing round diamonds. 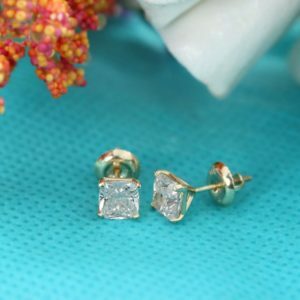 Diamonds symbolize love, purity, and eternal devotion, making them the perfect choice to symbolize a new mother’s love for her newborn. They’re also, of course, incredibly beautiful, timeless, and chic. 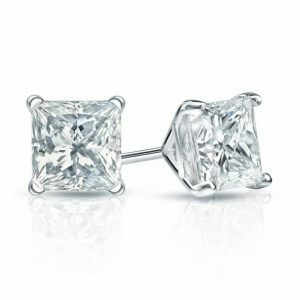 Diamond studs are a true “can’t miss” gift choice for a push present. 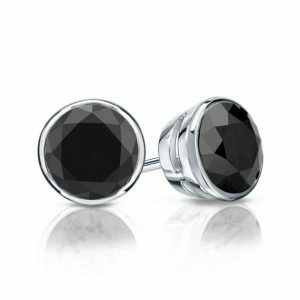 They’re beautiful, sentimental, and something she can enjoy wearing every day. This lovely solitaire pendant features a blue sapphire, the birthstone for September. A birthstone pendant is a particularly thoughtful choice for a new mom. With this one, you can go one of two ways: choosing the mother’s birthstone or your new baby’s birthstone. 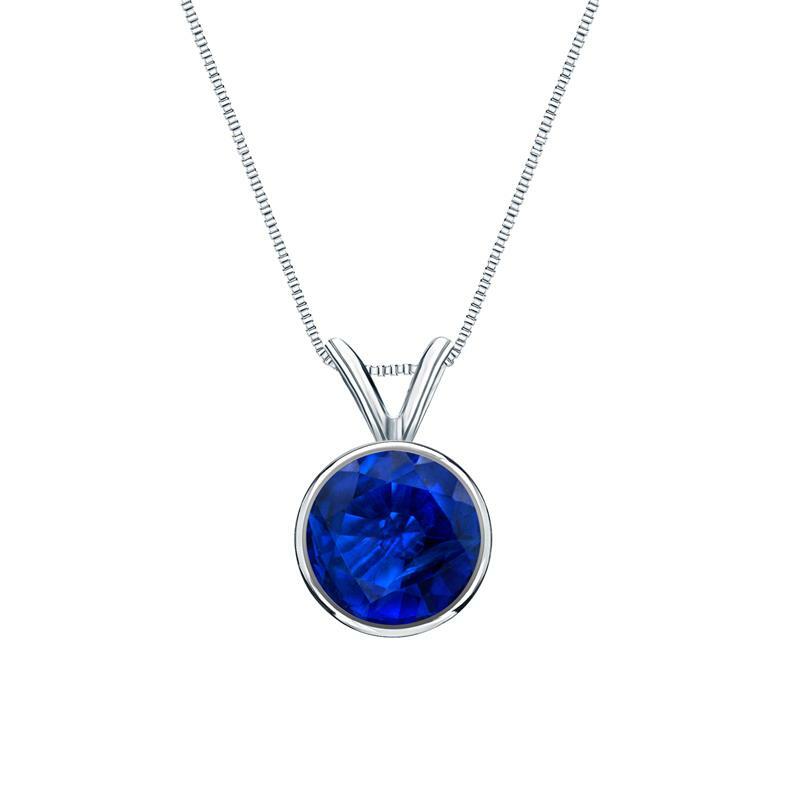 Either way, a birthstone pendant is a beautiful, sweet push present choice that will let her know just how much you appreciate and love her. This RhythmRocks diamond pendant necklace creates breathtaking brilliance. You can never go wrong with diamonds. And the diamond necklace featured here is simply stunning. 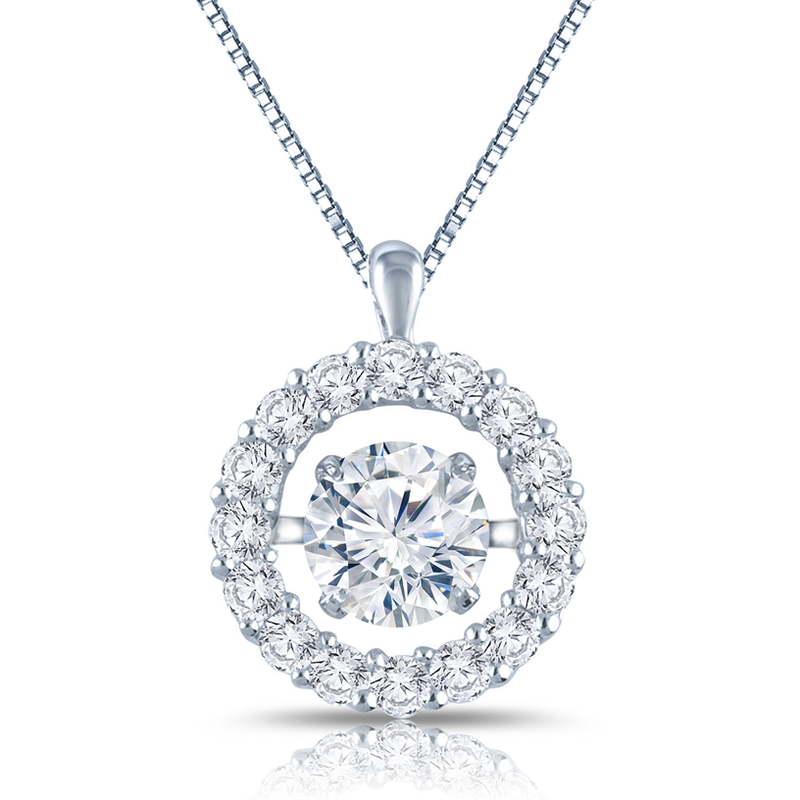 This pendant features a perfect circle of mesmerizing round diamonds. At the center of the circle lies a round diamond that is suspended within the pendant, allowing it to sway with the movement of the wearer. The unique design of this pendant allows its center diamond to catch incredible light, creating a dazzling display of brilliance. These luxe diamond and gold hoops offer a glam push present option. 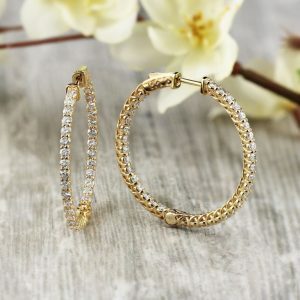 If your partner loves hoop earrings, why not elevate her collection with this gorgeous, diamond-studded pair? In this design, 154 white diamonds shimmer along the interior and exterior of 14k gold hoops, which allows the diamonds to shine brilliantly from every angle. These hoops are glamorous and simply beautiful. 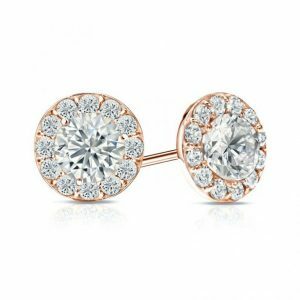 These diamond cluster stud earrings are a glamorous yet practical push present option. These cluster earrings are wearable, gorgeous, and sweet. 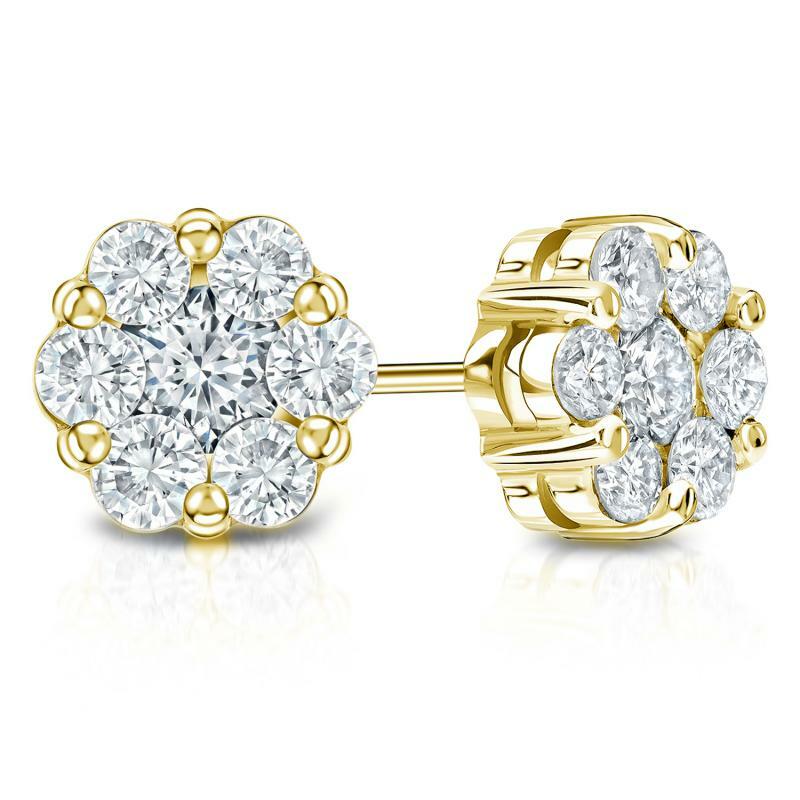 In this design, each earring features seven round brilliant diamonds arranged in a shimmering cluster. This unique arrangement gives the illusion that the diamonds make up one larger diamond flower. 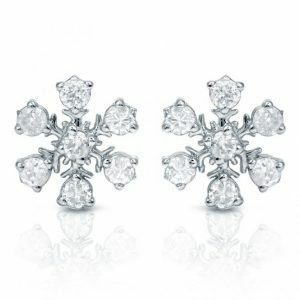 On top of their charming, yet luxe, look, these earrings are also a practical choice for gifting to a new mom. 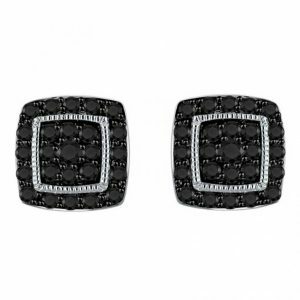 Because these detailed studs sit close to the ear, there’s no risk of your new baby tugging at them, which means she can enjoy wearing them everyday.